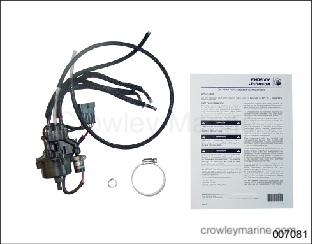 Use this instruction sheet when replacing the oil pump on Evinrude® E-TEC® 115 – 200HP 60°V model outboards. To avoid accidental starting of engine while servicing, disconnect the B+ (POS) battery cable at battery and twist and remove all spark plug leads. Install replacement oil pump with clamp provided. Tighten clamp to 35-40 in.lbs. (4-4.5 Nm). Carefully route all oil hoses with the protective sleeves. 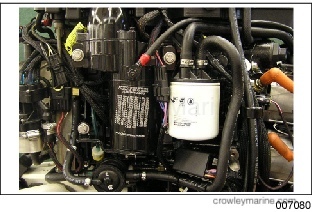 IMPORTANT: 2007 and 2008 model outboards (60°V) use a shorter oil distribution hose to connect the oil pump to the rear oil manifold assembly. Reuse original hose or cut replacement hose to 32 in. (81 cm) and protective sleeve to 28 in. (71 cm). 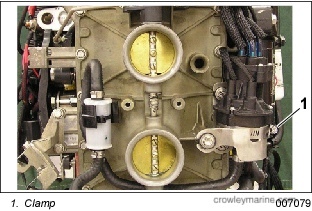 The distribution hose (clear tubing) to the rear oil manifold must be installed in the center fitting of the oil pump. This hose DOES NOT use brass supports. The rear oil distribution hoses (blue tubing) can be installed in any of the rear manifold fittings. 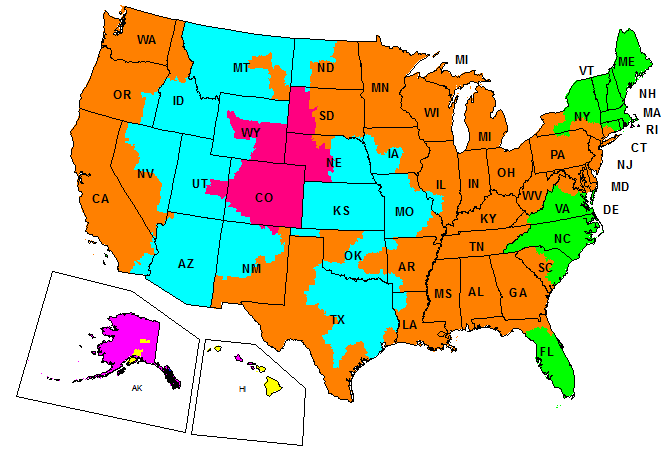 Refer to appropriate service manual for additional information. Prime oiling system when service is complete. Run outboard to verify operation of oiling system. Observe outboard for leaks. Repair all leaks.